The Community-Based Health Planning and Services (CHPS) system in Ghana is frequently cited as an exemplar approach to service delivery and community engagement in primary health care. The CHPS initiative targets remote areas of high need to deliver cost-effective and quality primary care services to individuals and households, while also engaging the community in the planning and delivery of services. Through key health reforms, including implementing a national health insurance scheme, Ghana has affirmed its commitment to increasing financial protection and access to needed health services. Ghana has made progress toward achieving universal health coverage, however gaps in coverage remain. 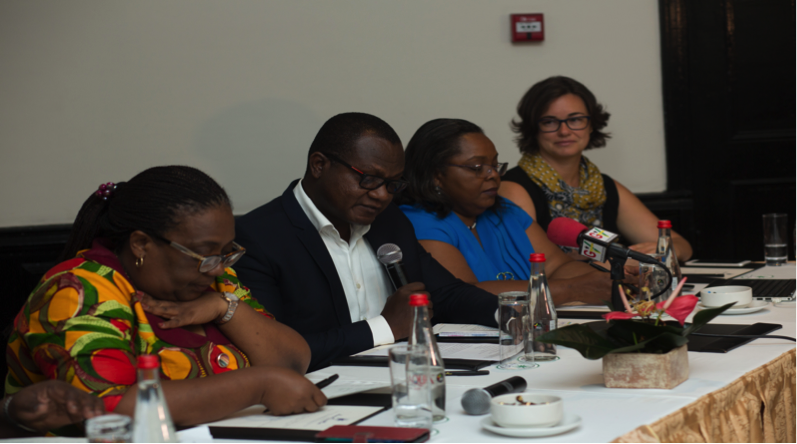 Alliance for Reproductive Health Rights and PAI convened a roundtable discussion in Accra, Ghana on September 26, 2017, to learn about and discuss new research findings related to the performance of Ghana’s primary health care (PHC) system. The meeting attracted a wide range of participants from civil society including key health sector advocates, researchers, high level government officials from the National Development Planning Commission (NDPC), the National Population Council (NPC), the Ghana Health Service and the Ministry of Health and Parliament. Over 70 people participated in the forum. See how this event was covered in local media by the Ghana News Agency. Ariadne Labs and Kwame Nkrumah University of Science and Technology (KNUST) conducted the research through the PMA2020 platform. It included a study of over 140 primary health care facilities in Ghana as well as the first nationally-representative survey of patient experience of primary health care in West Africa. The study was supported by the Primary Health Care Performance Initiative as a means of testing novel measures of PHC performance in low and middle-income countries. 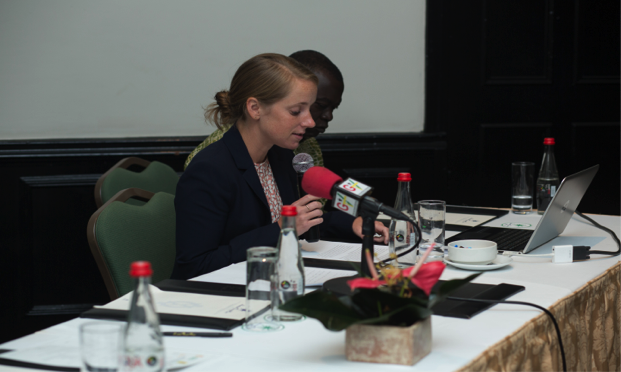 Dr. Easmon Otupiri of KNUST and Hannah Ratcliffe of Ariadne Labs presented their findings, which highlighted both the impressive achievements of Ghana’s PHC system as well as the gaps in access to affordable, respectful, and high-quality care. Coverage does not equal access. The National Health Insurance Scheme (NHIS) has expanded insurance coverage—nearly all facilities were eligible for NHIS reimbursements and the program covered almost two-thirds of women. Despite this achievement, over one third of women reported that it was difficult for them to afford the cost of their last visit and nearly 25% of women reported that they had to borrow or sell something to pay for their last visit. Some facilities also struggle to maintain the revenue needed to provide high-quality care. The average wait time for reimbursements to the facilities from the insurance agency was nearly 9 months. This kind of delay is likely to have a negative impact on facility finances and service delivery. Most women sought care from a public facility, but frequently bypassed CHPS facilities and health centers in favor of hospitals, even for basic care needs such as vaccinations and family planning services, particularly in urban areas. This may be due to the fact that hospitals have much higher availability of medicines than CHPS or health centers, however there isn’t a clear understanding of the cause. Understanding the reasons patients choose not to seek care at this level will be important for optimizing Ghana’s primary health care system. Facilities excel at community engagement and population health management particularly compared to similar countries in the region. The quality of care reported by patients was generally high. However, the data show that reports of respectfulness of care are relatively low. Additional progress is needed to ensure that health care facilities are providing respectful and responsive, person-centered care. Following the presentation of these findings, panelists including Dr. Koku Awoonor (Director of the Planning, Policy, Monitoring and Evaluation unit of the Ghana Health Service), Dr. Lydia Dsane-Selby (Chief Operating Officer, National Health Insurance Authority), Dr. George Amofah (Former Deputy Director General of the Ghana Health Service), Dr. Koma Jehu-Appiah (Chief of Party, IPAS Ghana), and Harriet Agyemang (SEND Ghana) reflected on the implications of this research on future directions for Ghana. Dr. Esther Ofei-Aboagye (Deputy Chairperson of the National Development Planning Commission) facilitated the session with the panelists. 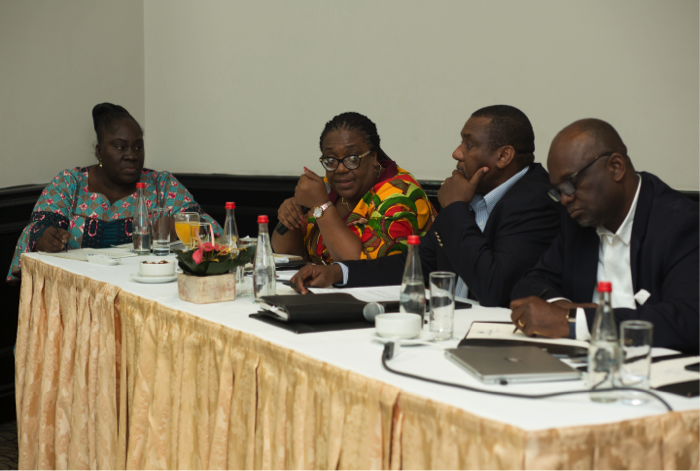 These leaders, technical experts and civil society advocates reaffirmed that a strong primary health care system is critical in Ghana’s pursuit of Universal Health Coverage. They emphasized that programs such as CHPS and the NHIS need to work in synergy to promote continuity, comprehensiveness, and first-contact access. The priority mechanisms for doing so were debated by panel participants, and included reforming provider payment systems to promote preventive, community-based services; increasing the comprehensiveness of CHPS facilities; and re-examining the role of CHPS as gatekeepers to higher-level care. Additionally, panelists raised several areas in need of further research and exploration. Among these were unpacking client perceptions of “quality” of care; understanding factors underlying delayed NHIS payments to facilities, including facility-based delays in submitting claims; and assessing why out of pocket payments remain so high and exploring mechanisms to reduce the financial burden of care seeking. 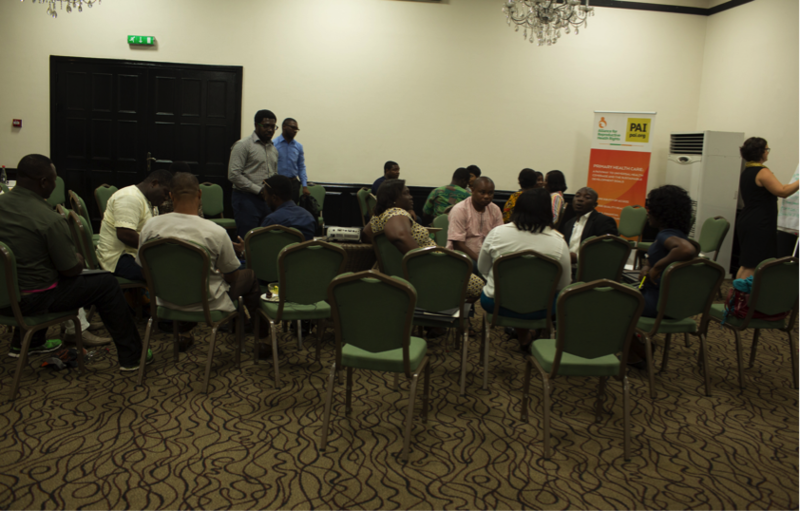 Following the successful end of the PHC strategic meeting, an afternoon meeting was convened with Ghanaian civil society organisations (CSOs) to discuss the policy implications of the study and propose strategies to address them. Regarding the NHIS, participants acknowledged that the while there had been an increase in subscription, affordability continues to remain a challenge for many households. They cited that many communities struggle to make out-of-pocket payments, otherwise known as ‘hidden charges,’ for services such as drugs and medical supplies they have already been paid for under the scheme. Expanding the minimum package under the NHIS was proposed as a means of enhancing accessibility for all. There were also concerns regarding the renewal of subscription and lag time between payment and re-activation of insurance. The civil society representatives expressed concern that the three months lag time between payment and renewal was unreasonable and that a review of the policy may be warranted. Additionally, there were also calls for an increase in education of citizens on the NHIS and CHPS concepts. 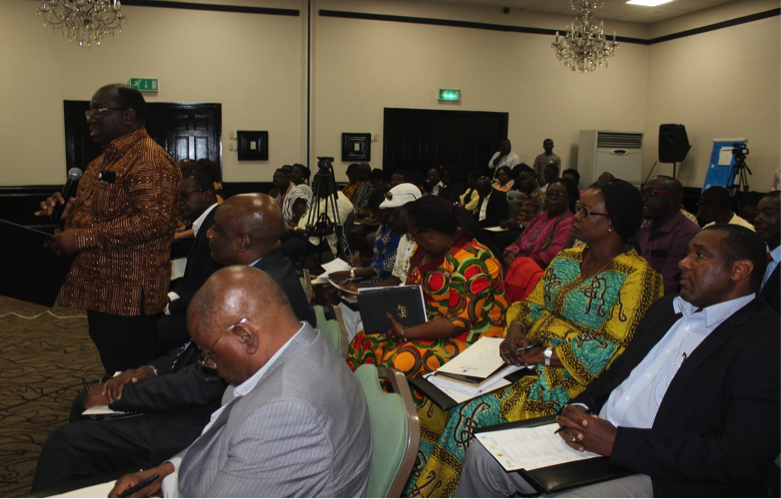 Participants expressed concern that many citizens were unaware of their rights under the package and highlighted that NHIS should invest in educating citizens effectively on the health insurance contract in order to ensure that their rights as policyholders are upheld. Other issues discussed centered on the need to regulate service hours of providers at the CHPS compound as well as the impact of delay in NHIS reimbursement and its associated challenges related to the late submission of claims by public health facilities. There were also calls for improvement of the referral system especially between basic and tertiary health facilities. This post was originally published by Ariadne Labs on October 16, 2017.